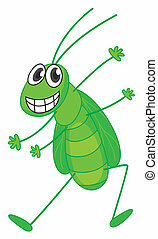 A smiling grasshopper. 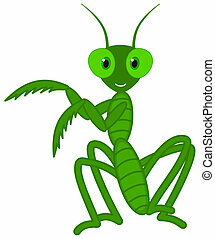 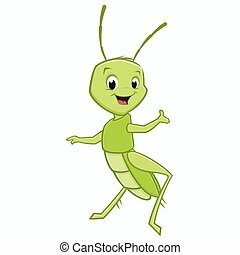 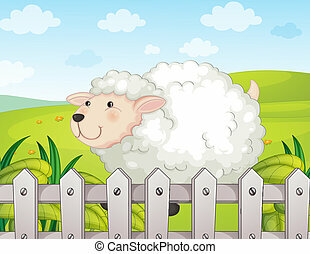 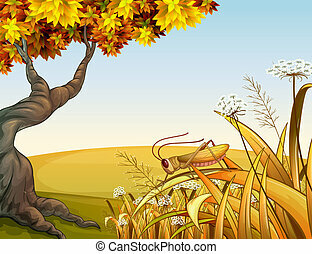 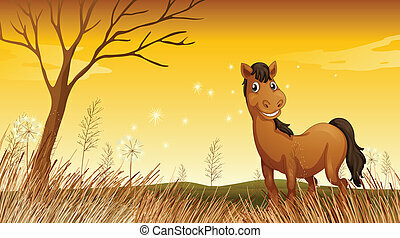 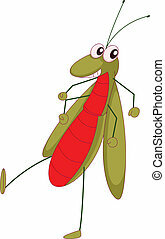 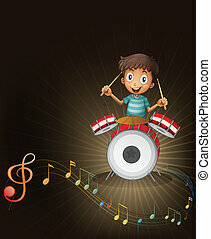 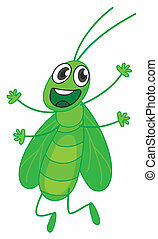 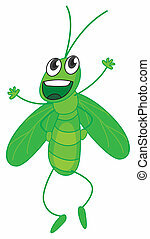 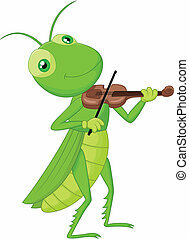 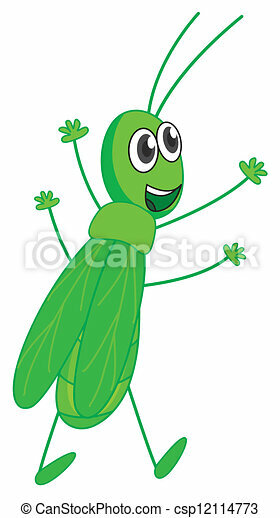 Illustration of a smiling grasshopper on a white background. 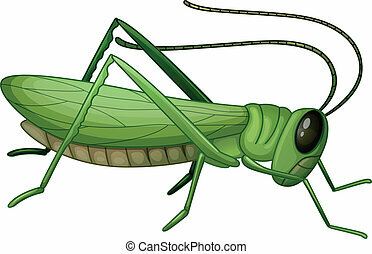 Picture with a fantastic grasshopper. 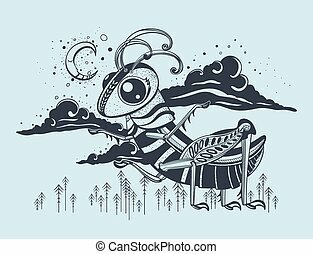 Background of the night sky. 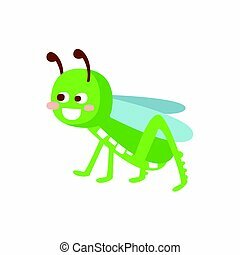 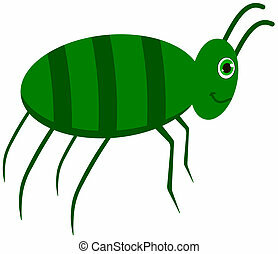 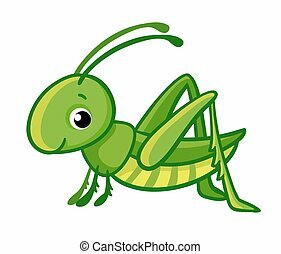 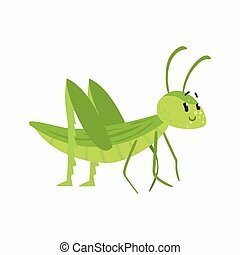 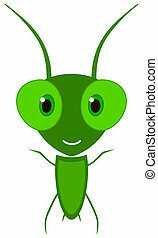 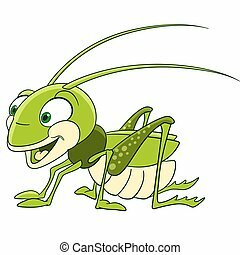 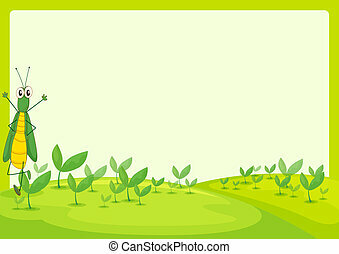 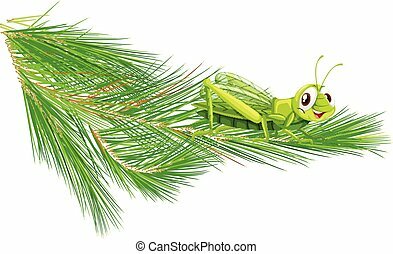 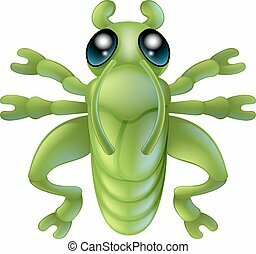 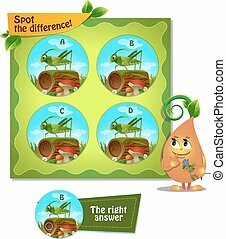 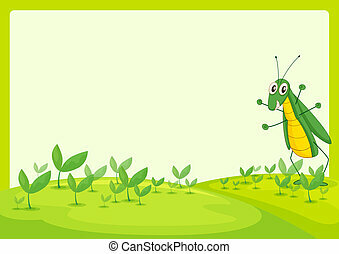 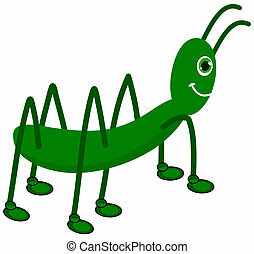 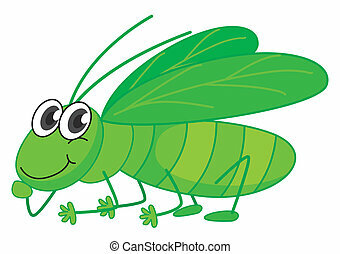 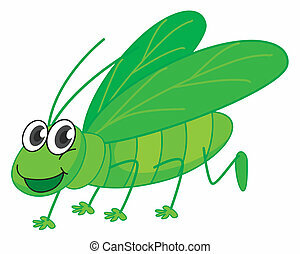 Vector isolated cute green grasshopper on a white background.